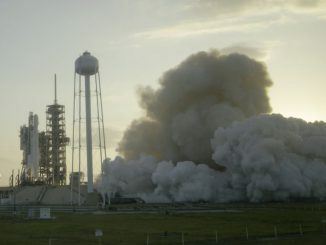 Held down by heavy-duty restraints, a Falcon 9 rocket fired up its nine Merlin engines for more than three seconds Thursday evening in a key readiness test before launching with a commercial television broadcast satellite next week. 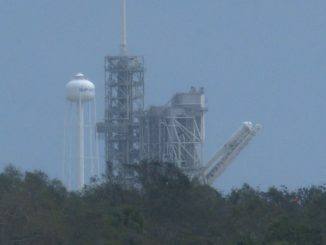 A wide-angle view of the Space X Falcon 9 rocket test firing at Kennedy Space Center’s launch pad 39A during final preparations for it scheduled blastoff with the EchoStar 23 communications satellite. 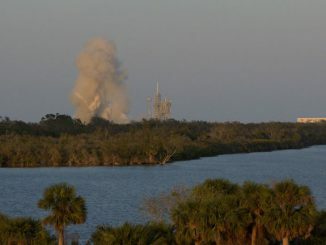 SpaceX’s Falcon 9 rocket was test-fired at Kennedy Space Center’s launch pad 39A on Thursday evening, a few days before its scheduled blastoff with the EchoStar 23 communications satellite. A Falcon 9 rocket is lifted into position for a planned countdown dress rehearsal at launch pad 39A at the Kennedy Space Center. The rocket is being readied for launch early Sunday with the EchoStar 23 communications satellite. 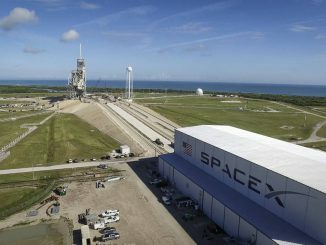 SpaceX is preparing for the next launch of a Falcon 9 rocket, set for blastoff from the Kennedy Space Center in Florida with the EchoStar 23 television broadcast satellite destined to cover Brazil. 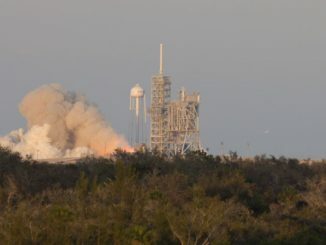 The rocket’s static fire test, a major milestone in any SpaceX launch campaign, was performed Thursday. 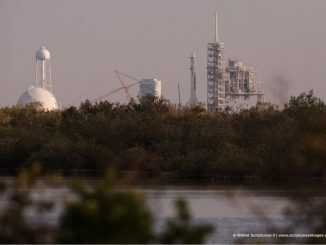 SpaceX said Sunday that the first Falcon 9 rocket launch from pad 39A, a former shuttle-era complex at NASA’s Kennedy Space Center in Florida, is scheduled to send a Dragon supply ship to the International Space Station in mid-February, deferring a mission with an EchoStar communications satellite that was set to take off this month.